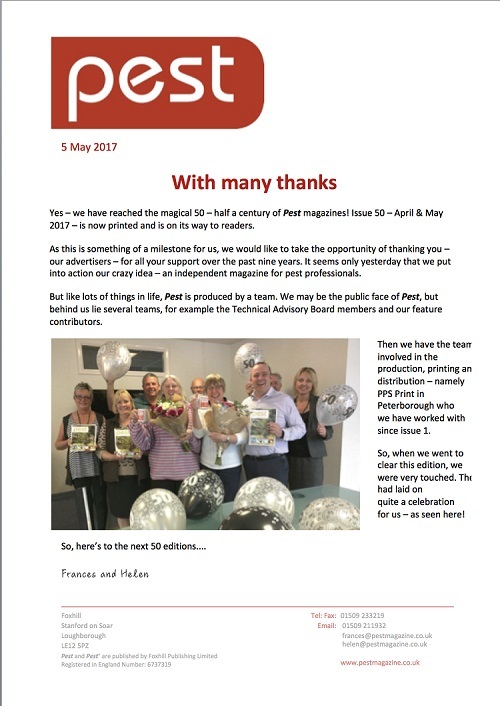 Congratulations to PEST Magazine on celebrating your 50th Edition. Having helped since Edition 1, we were delighted to put on this little celebration for you! Thank you for the kind letter received below and the picture with us all celebrating. Here is to the next 50 Editions!